​It finally arrived – the moment I’d been waiting for so long. April 11th, my baby boy made his brave entrance into the world. The fact that he waited until two weeks past his due date only added to the anticipation. My husband and I had endured a lot on the six-year journey to get here, and God answered our prayer. At 30-years-old, I certainly felt mature enough to handle the changes our new little bundle of joy would bring to our otherwise undisrupted lifestyle. I’d studied, prepared, and over-planned. I was ready for any surprise circumstance. ​What I didn’t expect was how hard this mothering thing would turn out to be. Within the first few weeks, we faced one battle after another – constant crying, not eating, no sleep at all, and two trips to the hospital. I fumbled through each day without a clue what to do for him. I felt ill-equipped as a mom, and honestly, I was embarrassed to ask for help. To make matters worse, a family friend had just given birth to a new baby at the same time. She was a natural. This young 19-year-old mom glided with ease while I stumbled from one unknown to the next, trying to keep my head above water. But I was slowly drowning. I watched as someone else seemed to be doing the job much better than I was. I should have called on the One who called me into motherhood in the first place. Instead, I began measuring my abilities as a mom next to hers. And the dangerous voice of comparison crept its way into my life once again. ​Through the years, I realized I had let comparison be my constant companion. I knew God designed me for a unique purpose, but I allowed this voice to turn my attention away from my Creator. I wondered if there was a way to overcome my compulsion to compare once and for all. That’s how the Over It. book came to be. 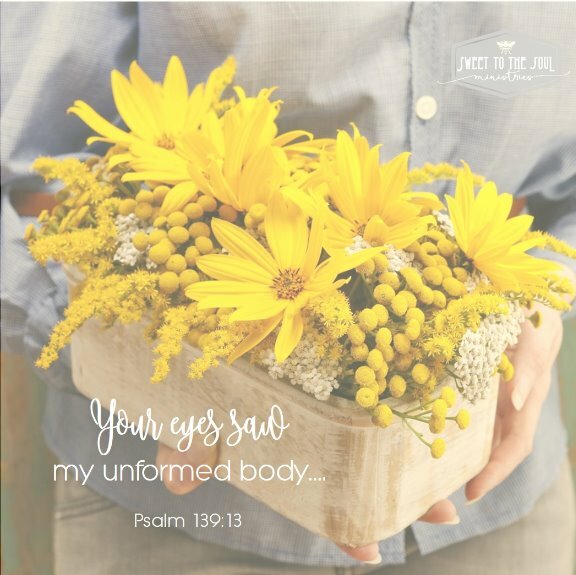 ​“Your eyes saw my unformed body; all the days ordained for me were written in your book before one of them came to be” (Psalm 139:16 NIV). God took me on a great journey to uncover the secret to conquering comparison. I discovered truths that helped me claim victory over it and find contentment in my God-given uniqueness. Through my research I also learned I’m not alone in this struggle. Yes, many other women have listened to the voice of comparison. Maybe you have, too. If the thoughts I’ve shared here resonate with you, then I’d like to invite you to join me on the journey as I share every struggle, discovery, and lesson-learned from God’s Word. Over It. Conquering Comparison to Live Out God’s Plan is more than a collection of stories. It contains practical steps we can implement in our lives, starting today. So if you’ve ever wondered whether or not it’s possible to silence the voice of comparison in your life? I believe you will find answers in the pages of this book. I hope you’ll join me on this adventure. Let’s not wait another minute to begin. To purchase a copy and get started claiming victory over comparison in your own life, click here. I pray you will gain the tools to help you let go of comparing and live out the unique plan God created just for you. ​In Over It. 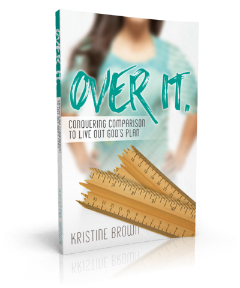 Conquering Comparison to Live Out God’s Plan, Kristine Brown takes us on a quest to learn the truth about comparison, and what we can do to quiet that pesky voice once and for all. 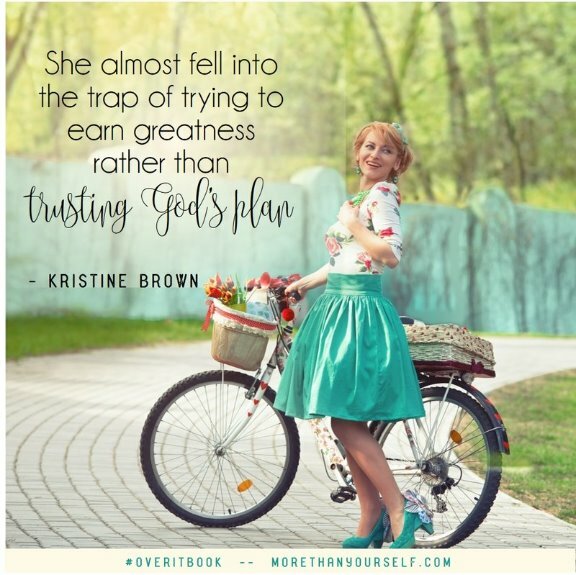 Through this book, Kristine unearths the stories of three women in Scripture who fell into the comparison trap but learned the key to finding freedom from comparing. ​For more information and to order your copy of Over It, visit Kristine's website, More Than Yourself. ​Kristine Brown is a writer, dramatist, and teacher. She helps women and teen girls navigate the ups and downs of real life. 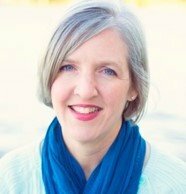 Kristine devotes her time to family, freelance writing, and her nonprofit ministry, More Than Yourself, Inc.